Product prices and availability are accurate as of 2019-04-23 11:12:51 EDT and are subject to change. Any price and availability information displayed on http://www.amazon.com/ at the time of purchase will apply to the purchase of this product. South Asia looms large in American foreign policy. Over the past two decades, we have spent billions of dollars and thousands of human lives in the region, to seemingly little effect. 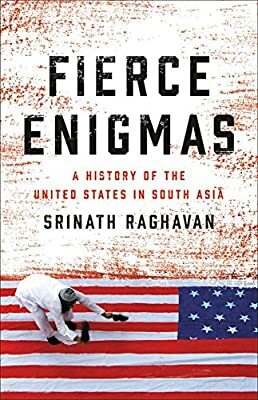 As Srinath Raghavan reveals in Fierce Enigmas, this should not surprise us. For 230 years, America's engagement with India, Afghanistan, and Pakistan has been characterized by short-term thinking and unintended consequences. Beginning with American traders in India in the eighteenth century, the region has become a locus for American efforts--secular and religious--to remake the world in its image.